I discovered a 100% plant-based burger joint in the super foodie city Portland Oregon called Next Level Burger. So I had to go check it out. Because you are what you eat and I'm a vegan burger. And any company that has "Love Thy Burger" on their building wins in my book. This company is definitely health-focused and is doing great things about that. First, they're totally vegan, which is pretty special right there. 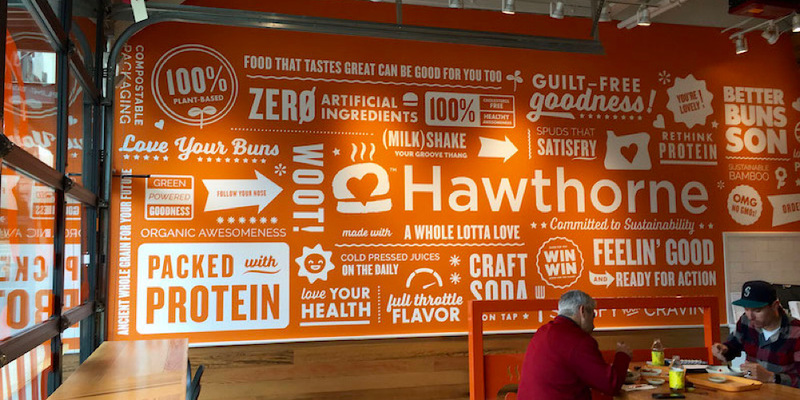 But they're even using 100% organic produce and condiments, non-GMO whole grain buns, and no trans fat, no artificial ingredients, no hydrogenated oils, even fair-trade certified sodas. Wow. Packing quite a healthy punch. Classic American comfort food. Next Level Burger has a whole menu of burgers - everything from Southern to Mexican to Blue BBQ to a Big Kahuna burger. And they're not skimpy on the cheeses and special sauces either. 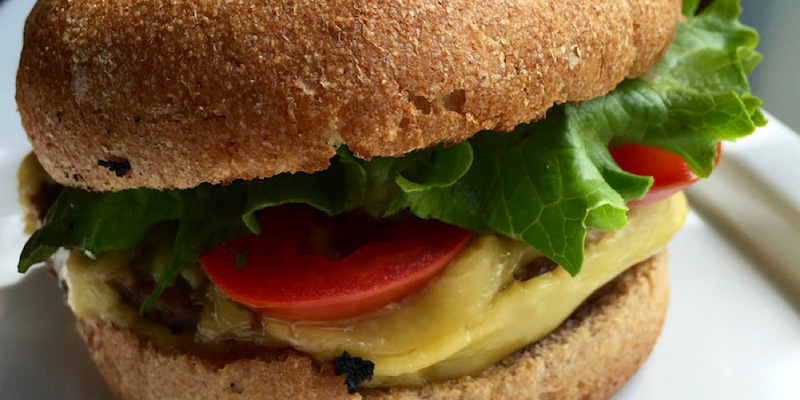 Because we all know that's what really makes a good burger great. But it's not just burgers! They have hot dogs, fries, milkshakes, fountain sodas, and more. 1950 called. And it's vegan! I wanted to eat everything on the menu. It all sounded delicious. But I figured, let's stay classic. Let's do the classic burger. It was a meaty patty, with mayo, cheese, lettuce, tomato, pickles, ketchup and mustard. It was amazing. Simple, tasty, perfectly well-done. I loved the fast and friendly counter service, too. My meal was ready before I could even finish reading the writing on the wall. Now, they just need to get franchises all over the world and I'd be a very happy burger. 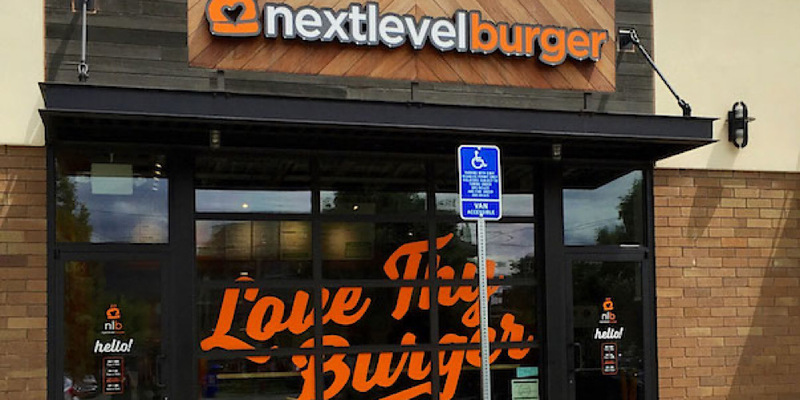 Check out Next Level Burger at any one of their convenient locations in Portland, Lake Oswego and Bend.